The U10 and U12 Racing Team is the first level of intermountain racing in the Mid-Vermont Council and is for children who are 7-11 years old. 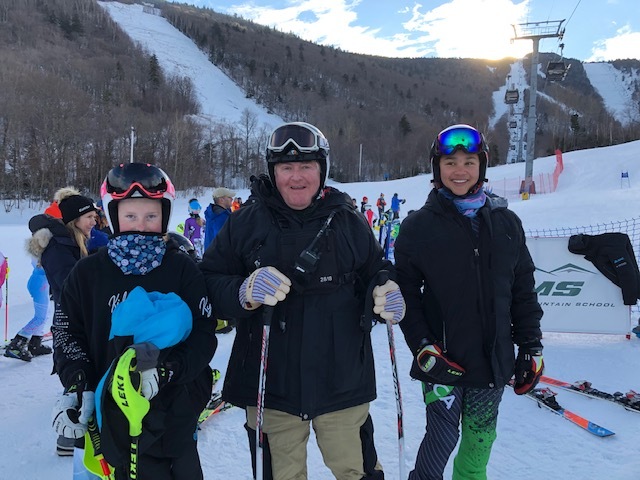 Our goal is to introduce young skiers to the fundamentals of ski racing and build lifelong skills in a fun and nurturing environment through a mixture of free-skiing, drills, and gate training. We seek to give all participants a solid foundation in skiing and our focus is on proper skill development. With over 90 team members and 16 coaches, our group is certainly the largest, usually the loudest, and definitely lots of fun! Our athletes learn and grow as much personally, as they do athletically. We also offer training during the Holiday Break in December and during President’s Week in February. Athletes will also begin to have the opportunity to attend camps at Okemo Mountain School. Interested athletes should have completed at least one year of Hopefuls and/or a screening in December. Beginning in January, the team travels to races at other mountains in mid-Vermont on selected weekends. Athletes must join USSA, VARA, and OMARA.